 Discover the answers to Frequently Asked Questions about Prizm ActiveX Viewer below. You may encounter the above error, or possibly errors as follows: - "The image file [FILENAME] could not be loaded" - “The image [FILENAME] could not be displayed because the image could not be queried” We have learned that Sophos anti-virus software can cause this behavior to occur. It has a feature called "Exploit Mitigation" which blocks Prizm from loading the file. We recommend communicating with Sophos support for details on creating an exception that will allow Prizm to gain access to the file. How can I burn annotations into a file format other than PDF using the MarkupBurner API? Currently, the MarkupBurner API only supports burning annotations into PDF. As a result any input file into the MarkupBurner will produce a PDF, regardless of the input file type. As a workaround for this, we suggest that you use a two step process whereby you will first send the document through the markup burning process, then send the resulting PDF to the Content Conversion Service to be converted the desired file type. Typically, the easiest place to implement this is on your webtier and avoids any of the CORS conflicts that would arise if you attempted to do this through the Viewing Client. Finally, this approach does have some restrictions. Currently, the Content Conversion Service only supports conversion of documents to the following formats: TIFF, PDF, SVG, PNG, and JPEG. How can I determine if I have the latest version of Prizm ActiveX Viewer? Reference the Latest Builds page. You can check for the current version of the Prizm Viewer you have installed by using the About Box, accessible from the toolbar and the right click menu. How do I eliminate the ActiveX warning that states, “This Website Wants to Run the Following Add-on: Pegasus Imaging Prizm Viewer v8 ActiveX from Pegasus Imaging Corporation? 2) Click on the Tools and a menu displays. Click on Internet Options. 3) The Internet Options dialog box displays. Select the Security tab. 4) Near the bottom of the Security tab click on Custom level. The Security Settings - Internet Zone dialog box displays. 5) Scroll down to the section labeled Active X controls and plug-ins. 6) Under the option Allow previously unused ActiveX controls to run without prompt, select Enable. 7) Scroll down to the option Run ActiveX controls and plug-ins and select Enable. 8) Click OK. A Warning window displays asking: Are you sure you want to change the settings for this zone? 9) Click Yes. You will return to the Internet Options dialog box. 11) Close Internet Explorer and then your internet settings are changed. 1) From Internet Explorer, click Tools on the menu bar. Click Internet Options at the bottom of the list. Choose the Security tab and click the green checkmark labeled Trusted sites. 2) Click the Sites button. 3) Uncheck the checkbox: "Require server verification (https:) for all sites in this zone". 4) Verify that http://yourintranetsite/ appears under "Add this website to the zone:" and click Add. 5) Check the "Require server verification (https:) for all sites in this zone" checkbox. To stop ActiveX warnings specifically for Prizm Viewer please use the following steps. Please note this assumes that IE 7 or IE 8 is being used. 1) From Internet Explorer, click Tools on the menu bar. 2) Click Manage Add-ons in the middle of the list. 3) Click the Show: dropdown menu in the top portion of the window and select All Add-ons. 4) Find the Pegasus Image Corporation group in the add-ons list. 5) Make sure the Prizm Viewer v8.0 entry has a status of Enabled. The entry name will include a service pack version number. 6) Double-click the Prizm Viewer v8.0 entry. 7) Modify the list of Restricted sites to include the sites that Prizm Viewer will be used with. 8) Close the two open windows. How do I view Prizm ActiveX Viewer annotations from a server? Your system administrator will need to set up an Annotation Server, and provide annotation mapping information for your organization. The Prizm Viewer help file discusses Annotation Mappings in Your Preferences\Annotations Preferences, and the Annotation Server help file includes extensive documentation. Both can be downloaded from the Prizm Viewer product pages. I click on a link to a JPEG file, expecting Prizm Viewer to display it. Instead, Internet Explorer displays it, not Prizm ActiveX Viewer. What is happening? Internet Explorer 5.5 and above do not allow the Prizm Viewer to display JPEG files through the web. Internet Explorer insists on handling them natively. It routes all requests for image/jpeg files to itself even if a plug-in is registered. ActiveX controls have a higher priority than plug-ins, so IE's ActiveX for displaying JPEG files always handles JPEG files. Please contact technical support for ideas on how to work around this problem. This usually requires changes to the Web Server. I downloaded and installed the latest version of the Prizm ActiveX Viewer from the website, but I should have installed an earlier version. How do I downgrade to the earlier version? If you have installed Prizm ActiveX Viewer 10 on your new system, you need to fully uninstall v10 before installing the earlier version. You will encounter problems with your system if you install the earlier version without first uninstalling the latest version. Follow these steps to uninstall Prizm ActiveX Viewer v10 if you have not also installed the older version. 1)	Close all web browsers of any kind. 2)	Open the Control Panel and select “Programs and Features”. 3)	Locate and select the entry for Accusoft Prizm Viewer 10 MSI (or Accusoft Prizm Viewer 10 PDF MSI). 4)	Select Uninstall. The product will then be removed. 5)	Install the needed version of Prizm ActiveX Viewer, ensuring that all browsers are closed during installation. Follow these steps if you have installed the older release without first uninstalling the current release. In this situation both versions exist on your system, causing incorrect operation. Please be sure that all web browsers of any kind are closed during this process. 1)	Close all web browsers. 2)	Use the Control Panel to uninstall any listed versions of Accusoft Prizm Viewer as described above. 3)	Reinstall the current incorrect release. This important step will ensure that that the incorrect release can then be fully uninstalled. 4)	Use the Control Panel to again uninstall Accusoft Prizm Viewer. This should remove all traces of the incorrect version. 5)	Install the older version of the product. Note that license keys are tied to a specific version of Prizm ActiveX Viewer, so please be certain that you are installing the version that matches your keys. I have some very large files that I need to upload. Is there an FTP location that you can provide to upload the files to? Open Windows Explorer and type ftp://ftp.jpg.com/ into the Navigation Bar. Right Click inside Windows Explorer to bring up the standard context menu. Find "Login As" and click it to login to FTP Server. For any other operating system, use an FTP client, such as FileZilla, using the above FTP and login information. Once you've successfully logged in, you can drop your files into the folder. I installed Apple Quicktime (or iTunes) and my TIFF Files no longer open with the Prizm ActiveX Viewer. How do I correct this? Apple Quicktime (or iTunes) causes the default viewer for TIFF images to change from Prizm ActiveX Viewer. The steps below outline how to make Prizm Viewer the default image viewer for TIFF images. 1) Open the file associations dialog from the start menu. Browse to Start | Programs | Prizm Viewer | File Associations. 2) To restore all file associations set at install time, select the Restore Defaults button to re-establish file associations created with Prizm Viewer was installed. Or if you prefer, simply scroll down in the list of file types until you locate the TIFF entry. 3) Click the checkbox to associate the Prizm Viewer with all TIFF and TIF documents. 5) You may also, if you wish, check the box marked "Check file associations at startup and notify if mismatched." This will present you with an option to adjust your file associations if another application has re-set them since Prizm Viewer was last used. 6) Close all instances of IE. I installed Microsoft Office or a Microsoft Office service pack and my TIFF Files no longer open with the Prizm ActiveX Viewer. How do I correct this? Microsoft Office contains the Microsoft Document Imaging Viewer which causes the default viewer for TIFF images to change to Microsoft Document Imaging Viewer. The steps below outline how to make Prizm Viewer the default image viewer for TIFF images. I just installed the Prizm ActiveX Viewer with PDF support. Which PDF documents will open in the Prizm ActiveX Viewer? 1) PDF documents specified inside an image list file. 2) PDF documents referenced in HTML via an object tag that specifies the MIME type as "image/pdf". 3) PDF documents referenced in HTML via an object tag that specifies the CLASSID for Prizm Viewer. 2) PDF documents referenced in HTML via an embed tag that specifies the MIME type as "image/pdf". 3) PDF documents stored on a Web Server that associates the MIME type "image/pdf" with PDF documents. I want to upgrade to the latest version of Prizm ActiveX Viewer. How do I install the new version? You should first uninstall the existing version of Prizm Viewer to ensure that all traces of that version are removed from the system. This will ensure that your system is ready to install the new version. 4)	Select Uninstall. The product will then be removed from your system. 5)	Install the desired version of Prizm ActiveX Viewer version, ensuring that all web browsers are closed during installation. What are the differences between the compressions used in TIFF files? Packbits - Created by Apple, this lossless compression type is used for run-length encoding (RLE). Baseline TIFF readers must support this compression. Use this compression for higher compatibility with various applications. CCITT (Huffman encoding) - Used particularly for encoding bitonal (or bi-level) images. "Group 3" and "Group 4" are particularly known for its use with fax transmission of images. Using this compression type will help keep smaller file sizes. LZW - A lossless compression type that supports multiple bit depths. Because it's lossless, it produces files that are generally larger than other compressions. Use this compression if you want to retain the exact visual quality of the image without data loss or artifacts. JPEG - Very popular compression, used for color and grayscale images and can produce high compression ratios. JPEG allows a good amount of control over how the image in question should be compressed. Use this compression for general color or grayscale images. Deflate - A lossless compression using Huffman and LZ77 techniques and also supports different bit depths. What Internet Option settings would let me open email attachments with Prizm ActiveX Viewer? 9)Click Yes. You will return to the Internet Options dialog box. Because this setting changes security for your computer and not just Prizm Viewer, other ActiveX applications will also be permitted to run on your computer. You may want to check with your system administrator before making this change on your computer. Note: The Outlook Express email client presents a "Restricted sites" error message when trying to open email attachments with Prizm Viewer if you don't make the following changes. 1) In Outlook Xpress, open Tools|Options|Security tab. 2) Under the Virus Protection section and the "Select the Internet Explorer security zone to use", select the option: Internet Zone(Less Secure, but more functional). 3) Uncheck the "Do not allow attachments to be saved or opened that could potentially be a virus". 4) Choose OK and re-open your file attachment. It should now open fine with Prizm Viewer. Because this setting changes security for your Email client and not just Prizm Viewer, you may want to check with your system administrator before making this change on your computer. What type of license should I be using? Accusoft supports 3 primary license types: Evaluation, Toolkit, and Runtime licenses. An Evaluation license is available upon download and will allow you to try our products and determine if they will suit your needs. Most downloads include free demo applications that demonstrate the core functionality of our product and will show you how to get up and running integrating Accusoft products with your solution. While the Evaluation license is free to download it does come with some restrictions. These restrictions may come in the form of water marked documents, pop-up dialogue boxes, or a time limit on the Evaluation license itself. Should you decide that an Accusoft product is right for you, the next step should be to purchase one or more of our Toolkit licenses. Accusoft requires each developer using an Accusoft component to have a Toolkit license on their development machine. Once registered, the Toolkit license will unlock all restrictions of the Evaluation license. Please note, the Toolkit license is strictly to be used for development purposes, and when activated, it will be tied the specific development machine that it was registered on. Understandably, the occasion may arise where a Toolkit license needs to be moved from one development machine to another. In such a scenario, please contact sales@accusoft to see if this is feasible. For more information on how to register a Toolkit license on a development machine please see the 'Toolkit Licensing' section of your products Help documentation. Finally, once you have completed your solution and are ready for deployment, you will need to purchase a Runtime license. Accusoft offers 2 types of Runtime licenses. Most commonly, you will purchase an Automatically Reported Runtime (or Node-Locked) license, which requires a license for every machine your solution will be deployed to. It is very important to note that Runtime licenses are tied to the machine they are activated on and should not be used for development purposes. Doing so will quickly use up your Runtime licenses and cannot be refunded. For more information about how to activate an Automatically Reported Runtime license, please see the ‘Automatically Reported Runtime License’ section of your products Help documentation. In certain circumstances, Accusoft will issue a Manually Reported Runtime licenses that allow you to embed all of the licensing information directly into your application. These licenses are only distributed under certain circumstances and eligibility is determined by Accusoft sales. For more information on how to activate this type of license, please see the ‘Manually Reported Runtime License' section of your products Help documentation. Fill out the short form below and we will get back to you as soon as possible. Please be as specific as possible when writing your question.